June 23 2018, 10:38 AM. 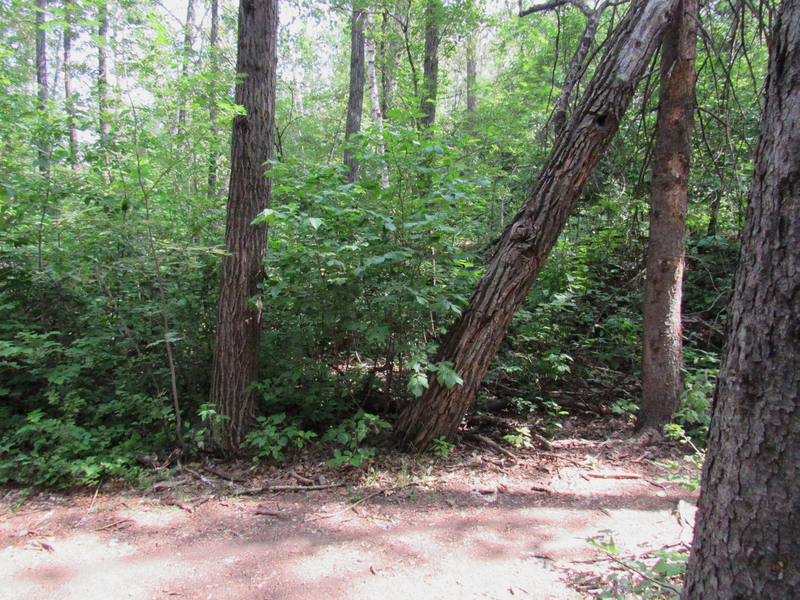 A trail through a ribbon of urban forest on the south of shore of the North Saskatchewan River, in the Edmonton River Valley. I spotted some movement in the forest shrubs. 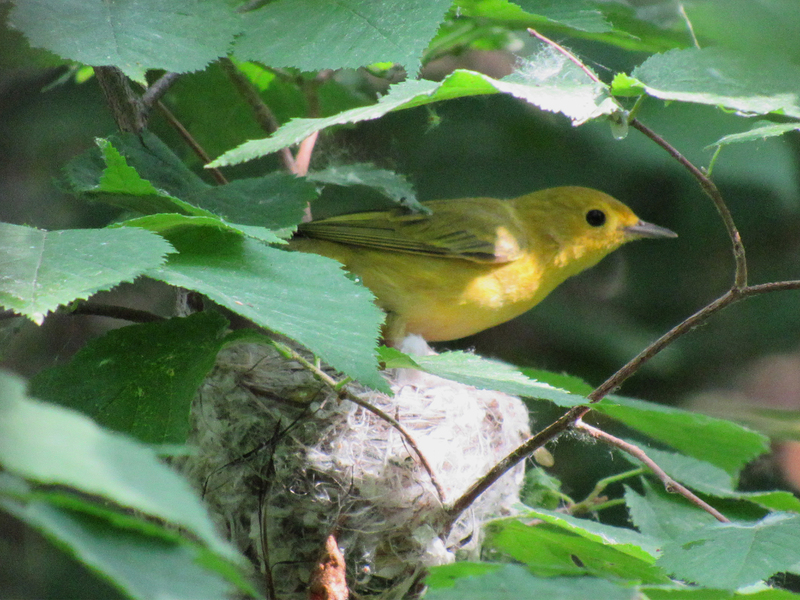 A female Yellow Warbler. She was building a nest! 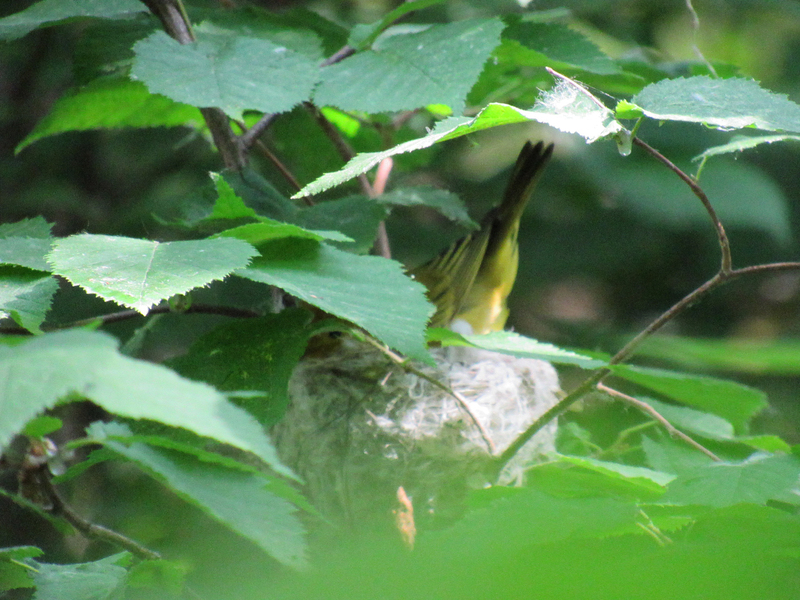 She moved about in the nest for a while, then sat in it as if incubating eggs, testing its fit. 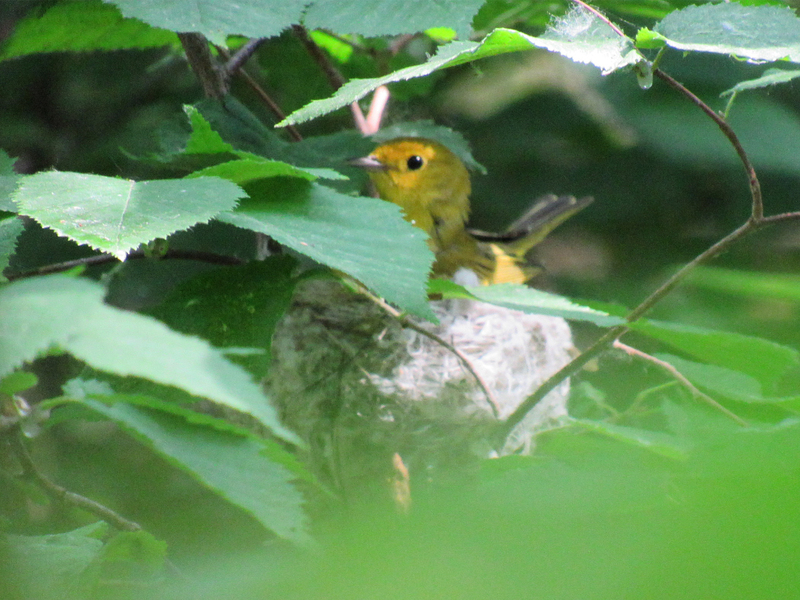 Then she hopped onto the lip of the nest and flew away. I took a photo of the area, so I would remember the location of the nest. The nest is in the middle of the photo, behind the shrubs, about two meters from the clearing, and was only visible if I stood in one particular spot. 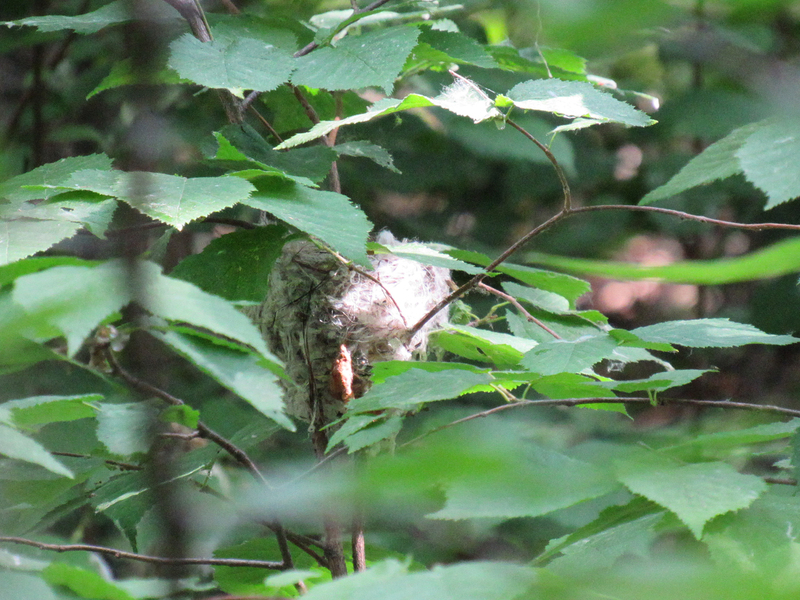 When I returned later, with shrub growth and branch movement, the nest was no longer visible from the clearing. Luckily, I found a new viewing tunnel through the leaves, on a trail to the right of the forested area. 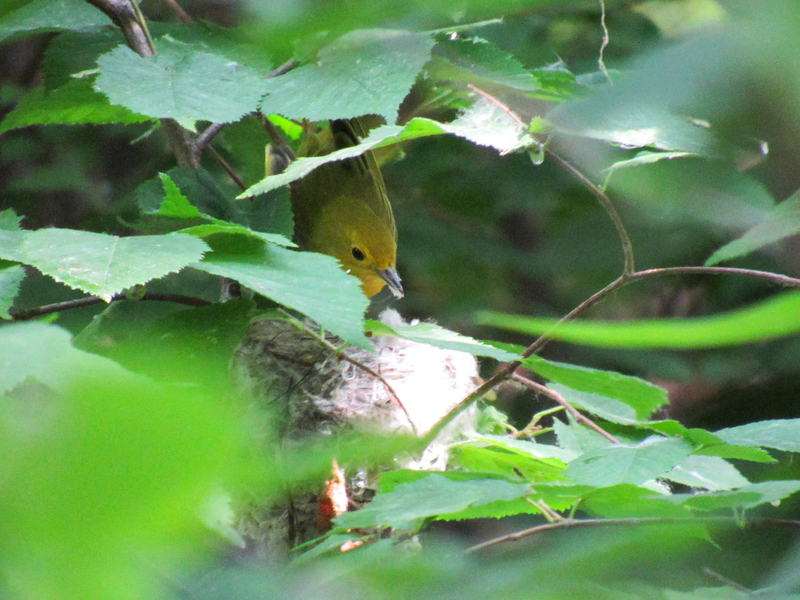 A minute after leaving, the warbler returned with a piece of balsam poplar seed fluff in her beak. After trying a few different options, she wove the cottony fluff into her nest. That was a lucky spot – they’re stealthy when they want to be, right? The nest looks so pretty. I love the wonderful song that I always think of as, “Sweet, sweet, sweet, I am so sweet!” What a nice treat to see in winter. They do have a lovely song. I am so looking forward to hearing it again. 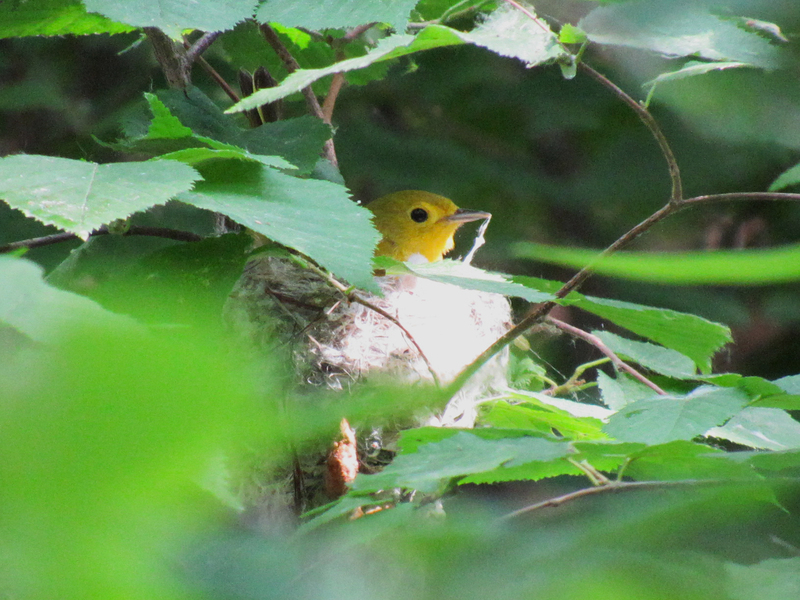 The forests near my home are full of yellow warblers in the late spring and summer. They are very stealthy nesters and I spot very few nests compared to the number of fledglings I see. 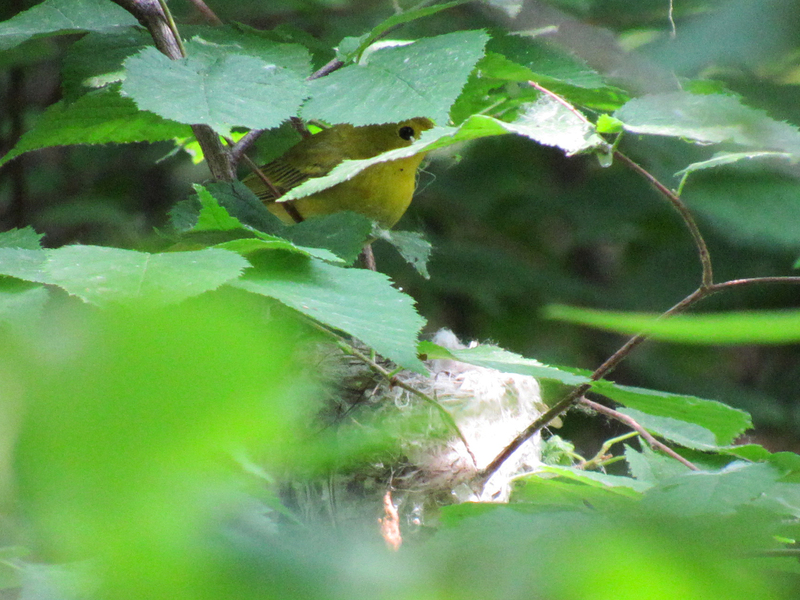 When I do spot a nest, it is because a bird is moving nearby, and that is pretty rare. You’re very lucky to see them nesting. 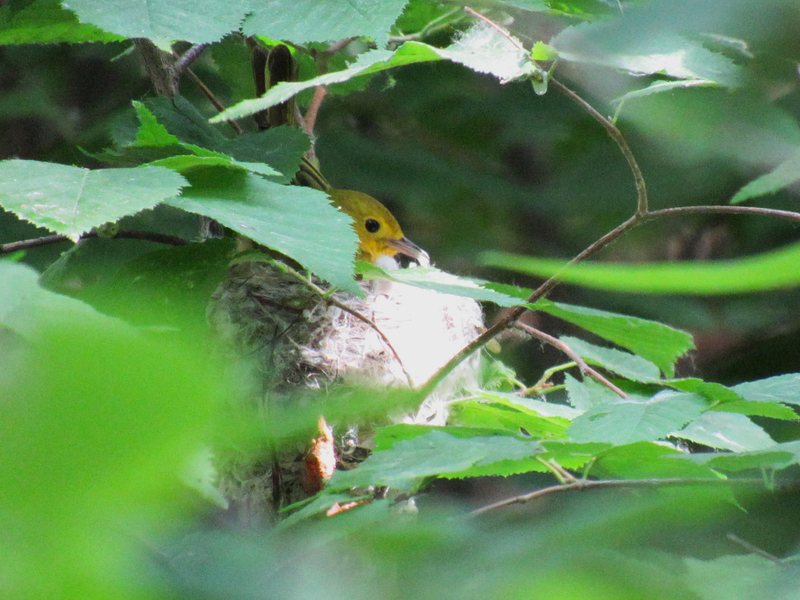 Compared to the number of yellow warbler fledglings I see in the summer, I see very few nests. So I do feel quite lucky when I spot one. I also worry a bit when I do see one, that maybe it is not hidden well enough and will be predated upon. 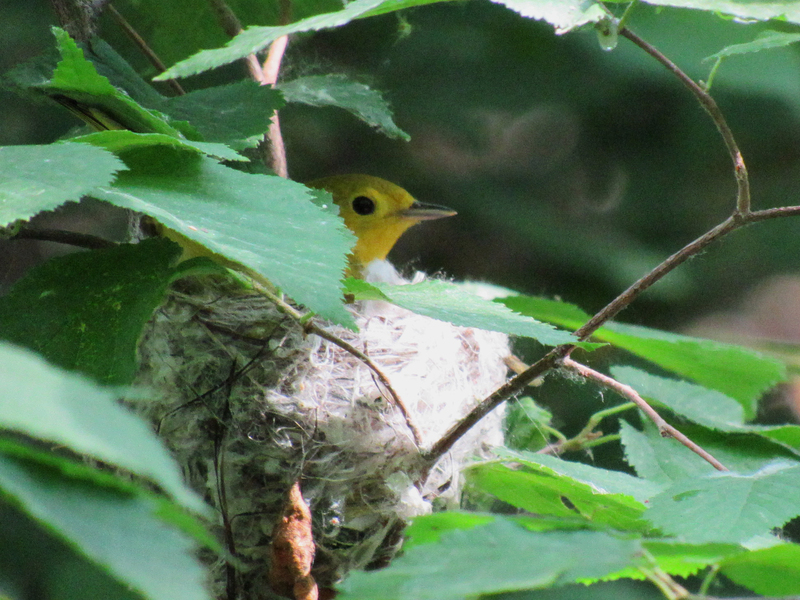 Luckily, the little ones from this nest did hatch and grow for a few days after that. I’m not sure if they fledged though. I hope so. I so look forward to the return of the migrants!